Why is additive manufacturing, commonly known as 3D printing, the next big step in manufacturing? 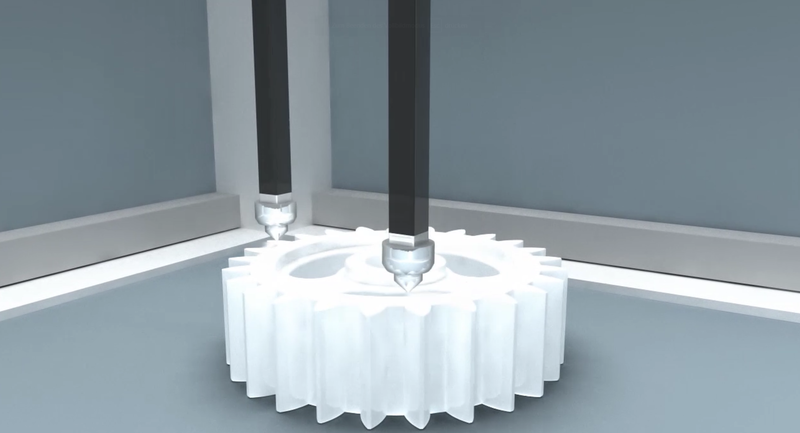 Think of an additive manufacturing unit as an automated espresso machine. If you want a good cup of coffee, someone needs to roast and brew good beans. In this analogy, the powders are like the powdered coffee in the capsule. No matter how good the machine or highly skilled the operator, if the powders are not top-rate, the final product will disappoint. Find out more about Oerlikon Metco’s metal powders portfolio for 3D printing in industry applications. Additive manufacturing (AM), or often used interchangeably as 3D printing, is at work everywhere in the world. Although still in its early stages, AM has demonstrated its ability to revolutionize manufacturing, from prototypes to final products. Racing car manufacturers make custom parts for stock cars to improve their performance. Because modified designs can be turned into a physical part quickly, the companies can make subtle changes to enhance speed and reliability. In biomedical engineering, 3D printing solutions can create attractive, functional and individually customized bionics, prosthetics and orthotics in far less time and at a fraction of the cost by eliminating traditional manufacturing steps that make customization costly. Different tissue types, e.g. bone, muscle and a human-scale ear made of cartilage have already been 3D printed; and in one research, the tissues were observed to not only survive but there were signs of blood tissue growth. Construction equipment manufacturers have been able to save significant time and money by using 3D printers to create prototyped parts for testing rather than investing in tooling and molds that are often used once and then discarded as engineers move on to create the next design. Molding companies have also added AM technology to their offerings to provide customizable injection molds or small-volume production that would have been economically unfeasible with traditional processes. 3D printed buildings are sprouting up around the world. Demonstration projects in China, the Netherlands and Italy are utilizing 3D printing to enable faster construction, lower labor costs and less pollution and waste, while offering tailor-made housing solutions that have the potential to reshape the way we build our cities. 3D printing of buildings could potentially be a solution to construct extraterrestrial structures on the moon or other planets where the environmental conditions are less conducive to human labor-intensive building practices. Jewelers and luxury brands are using 3D printers to design and create master patterns for molds that could not have been produced solely by hand with traditional smithing tools and methods. AM and large-scale 3D printers will literally reshape life and business as we know them. The benefits — saving money, resources and time, enabling fast innovation and product improvements, adding flexibility in the manufacturing process, avoiding waste and shortening the time-to-market — are clear, but they don’t convey the magnitude of change and opportunity waiting. In the past, bringing a product to market required a number of steps which can easily take months. Even when designs meet the needs of the market, moving into full manufacturing has been challenging. Companies had to break complex designs down into elements that could be made with traditional casting and forming techniques. Mistakes could easily creep in so products required changes and then new tooling, which is costly. With AM, manufacturing’s design, modification, and production chain of events becomes shorter. More importantly, changes are easy to accommodate, eliminating time from schedules. Companies work more efficiently and get to market faster, expanding the window in which new products can command premium pricing. As a bonus, the manufacturer only uses the material necessary to make the item, reducing waste. Critical to the success of any AM application is the proper choice of materials. Advanced alloys can mean the difference between printing an object and making something that is truly ready for a particular use. “Additive manufacturing has led to increased interest in the development of metals and alloys,” says Dr. Dieter Sporer, AM Industry Segment Manager at Oerlikon Metco. “By developing innovations that enhance our knowledge of the relationships between powder characteristics and the resulting component quality, we have been able to lead, rather than follow, the market trend towards process-specific powders.” Materials, including various steels (nickel, cobalt-chrome, and stainless) as well as titanium- and aluminum-based substances, broaden the ways additive manufacturing can make a difference in industry. Oerlikon Metco’s more than 50 years of experience in developing powder products for advanced industrial applications has placed it as a natural supplier of additive manufacturing materials. New digital technologies transform a children's pastime into a powerful tool.